Another week and another edition of the best 30 minutes of technology talk in Ghana. 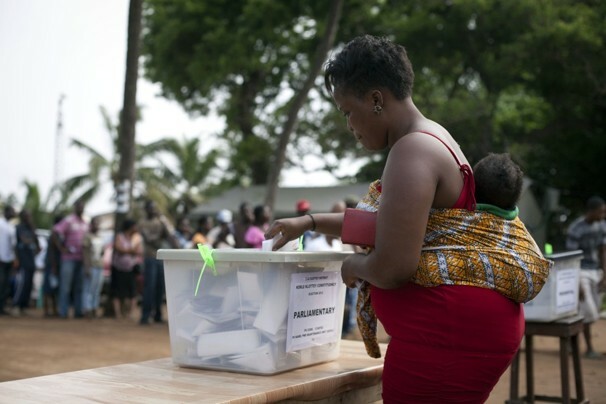 On the show this week, as Ghana goes to the polls in 2016 to elect a new set of leaders, the headache of voter registration creeps up on us again. There have been numerous attempts to make the process as easy as possible. However due to a plethora of issues, this process is often very cumbersome and not too efficient. A group of young people have created a web based platform called ‘machecki’ to help make that process simple. Richard Annerquaye Abbey and Divine Pupulampu shared some insight about the platform. The show also highlights some of the key issues that came up at the Women in Tech event that happened last week at Ispace. Issues ranging from carpenters using technology and the death of SMS were looked at. Awo Apaloo shares three apps; tossup, hooks and liner, on the show while Mawuli Tsikata presents some of the latest trending technology issues from the past week including drone delivery in Switzerland.